Well. I missed the entire month of February. There was even an extra day and I still didn't get a blog post written. Instead of skipping the February events completely I'll just focus on the 5A State High School swim meet. That, hands down, was the biggest deal of the month. It had all the emotions. I'm still talking about it to those who missed it (which in my world is almost everyone; people don't go to swim meets, even when they know the swimmers.). If you will recall from my last post, the region swim meet was amazing. How do you top that? Well, for one, you help your team do better than your school has ever done in the history of your school. That is an awesome feat. Two, as a senior, you shine in your moment. Three, as a sophomore, you show some grit and let people know you'll be in the fight next year also. And four, you are a great team member and help others do their best too. 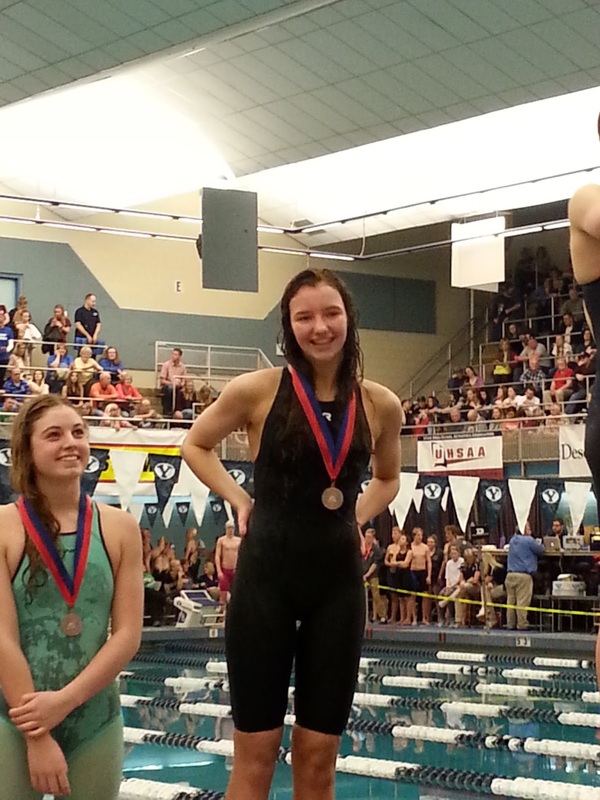 It was a fabulous finish to Sydney's swim career. What a gift I have been given to spend my time with such wonderful girls. I had no idea what was in store when Brian and I started our family. So so amazing.